Creating an environment that is encouraging and satisfies various marketing concept is vital. Retail environment often includes service and customer-oriented concepts that are applied to the interior aspect of franchises, shops and organizations in order to strengthen consumer impact. 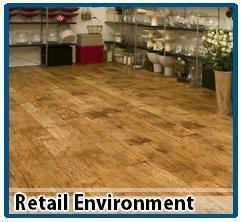 The floor contributes a big factor on the retail atmosphere as it highly affects the shop’s aesthetic potential. It can help create an ambience in which customers will spend. Naturally, floors that are applicable for the retail environment are durable, practical and flexible to the shop’s design requirements. High Performance Solutions, Inc. has worked across a variety of retail spaces and units in the Philippines. HPS is a leading provider and installer of decorative and functional flooring systems that are practical and ideal for the consumer environment.